This type brush usually install on bottom of the domestic door/ hotel’s room door/ the revolving door/ shield door. To proof the dust/ light/insect， keep the room separate from the dust or insect. 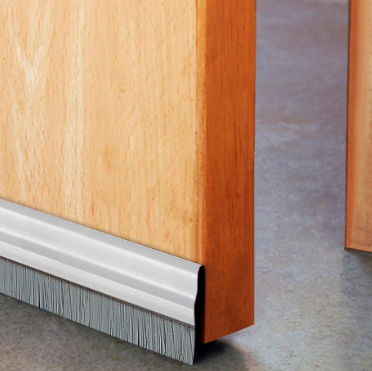 Door Brush strip is made of a metal base、 nylon bristle, aluminum channel. This type brush strip is hard to drop bristle, well sealing, long working life.